When we are born into this world, we already have a spirit within us. A pure spirit, with no attachments, no emotional hurt, and no baggage weighing us down. While I don’t remember my own birth, I have a knowing that I held nothing but love and curiosity within me. I didn’t know what hate and hurt were until I learned of them. However, there is one attachment that most of us are immediately born into this world with. It is the name our parents gave us at birth. A name, rich with attachment and meaning to the ones that physically conceived and birthed or adopted us. As we grow and mature and become our own people, free to make our decisions in life, that given name may not reflect who we are at all. It is a reflection of who our parents were at the time of our birth. It may not even reflect who they are at the time we come into our own, realizing who we are at our core. When someone grows enough to realize this, and makes the decision to change their name, I am in awe of them. I am in absolute emphatic support of their journey into the person they have become. I feel a strong desire to celebrate their name change as one might celebrate a child being born. They are asking to be recognized with a name or title they feel really represents who they are inside. The moment they make this name change, I cease to remember them with any name other than the name they have given themselves. Even when I think back to the times when I knew them with their previous names, I still remember them with their soul name, the name they have chosen for themselves. To those parents that get offended that their child would dare change their given name. Lighten up and let go. You don’t own them or their spirit. You never did, and never can. They are infinitely beautiful and stand on their own. Love them, and be thankful for being an important part of their lives. Same advice goes to the siblings and friends. Let go of your attachment to the name of the person you thought they were and embrace the person they have become. Trust me when I say it doesn’t taint your memories of them at all, it only makes the memories more authentic. While I have not chosen a new masculine name for myself at 47 years old, I have chosen a name for the divine feminine within me. 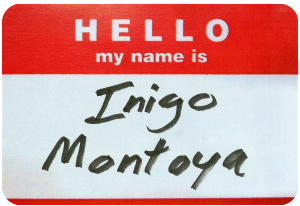 Some of you already know that name, but may not have realized the full significance behind it. My given name represents power. I have a “powerful name”, people have told me. And because for most of my adult life I have sought power and success, it never occurred to me to change my name. Only now, after suffering so much loss, and knowing that I can’t own or keep things have I realized that the name no longer applies. I believe in impermanence. The things and people in my life I cherish and have gratitude for every single day, knowing that they could be gone at any moment. There’s no doubt that I work hard to improve and grow my business and financial status. Because, with success I’m more able to help others and contribute to the community. But I no longer need more. I no longer feel like I would be a failure if I lost it all. Maybe some day I will consider finding a new name for myself. One that represents how I feel inside. Though, in all honesty, I don’t really identify who I am with my name. I am not my name at all. I am Lucid. I am Love. I am Gratitude. I am Alive. I am Happy. Call me what you want. For my beloved sister Isabella Blatchford, who changed her name years before her passing. For my beautiful friend Maya Raven Skye. I only ever remember you with the names you have chosen for yourself. 2 Responses to What is Your Soul Name? I also believe names are powerful medicine. Katherine Love is the name I chose for myself when I was becoming myself again after an abusive marriage. Katherine because the name represents strength, grace, intelligence, power and femininity. Love as a declaration of my values and purpose. Thank you, Richard, for this piece. Love is also the last name I chose for my feminine. 🙂 Love your name!